Just as the sequel to Oliver Stone's 1987 classic hits theaters, Obama appointee Elizabeth Warren will take on a new generation of Wall Street swindlers. Sadly, there’s no Bud Fox this time round, but Gordon Gekko is back—at least at the multiplex. But Elizabeth Warren will be there too. President Obama has asked the Harvard Law professor and consumer advocate to serve as assistant to the president and special adviser to the secretary of the treasury on the Consumer Financial Protection Bureau. Someone to protect us from the nonfictional Gekkos of the world. 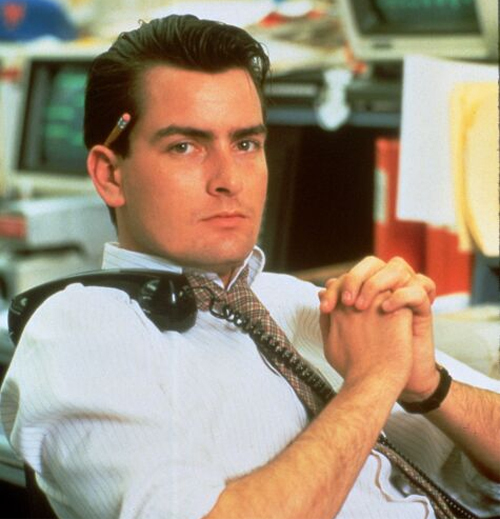 "Greed," Oliver Stone’s Gekko says in Wall Street, "captures the essence of the evolutionary spirit." Warren isn’t so sure. Her role, says Senator Bernie Sanders (D-Vermont), is to take on the "greed and recklessness" of Wall Street, to protect the many from the avaricious impulses of the few. So as Stone releases the sequel to Wall Street, his seminal 1987 drama, Obama has unleashed in Warren a personified rebuttal. Wall Street: Money Never Sleeps opens in theaters on September 24. After his 1987 introduction to America, "Gordon Gekko" became a metonym for rapacious greed and unethical financial practices. 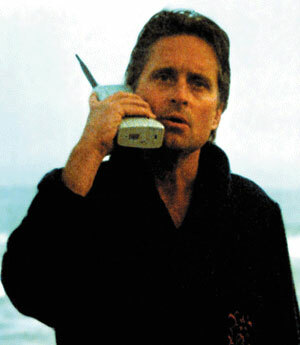 According to Forbes, Gekko is the fourth-richest fictional character of all time (between #3 Richie Rich of Richville, USA, and #5 Jabba the Hutt of the planet Tatooine), and at the UN General Assembly in 2008, Michael Douglas found himself fielding questions about how much responsibility he, as Gekko’s original portrayer, should bear for the global financial meltdown and the Great Recession. After two such queries, Douglas had to explain, "My name is not Gordon. It’s a character I played twenty years ago." Strangely, the real Wall Street—and its current generation of Gekko-inspired masters of the universe—seems to be making the same mistake as the reporters at the UN. As business-as-usual returns to Lower Manhattan, corporate America is behaving as if the recession were but a figment of Oliver Stone’s imagination, an over-the-top fiction that scared a lot of people and angered a lot more—but certainly didn’t ruin anybody’s life. The big boys are back, and for America’s wealthiest, the money machine is humming again. Even as more and more Americans lose their homes to foreclosure, bank profits have returned to pre-crisis levels. Poverty is at its highest level in fifty-one years: 43.6 million Americans—one in seven—live in poverty, 3.7 million more than in 2008. Admittedly, Wall Street has changed some of its ways in the face of strident criticism, but according to Simon Johnson, an MIT economist, "the overall culture remains the same, and the system is largely unreformed." While more stretch limousines work their way back onto New York City streets, the rest of America keeps its collective fingers crossed, hoping to hold onto their Hondas in the face of financial insecurity. Warren told Salon this week that, the middle class "is crumbling. Middle class used to be synonymous with secure, with steady, with boring, because middle-class people were people who were pretty much safe from the time they first started work on through retirement and until their deaths, no longer. Now, to be middle class is to worry, is to be insecure, is to face much increased odds of job loss, of a healthcare problem, of a family breakup that can land a family in economic collapse." Not surprisingly, today’s Gekkos are exacerbating the problem, funneling dollars their way with whatever techniques are available to them, including, for example, computerized, high-frequency trading. "Regular buyers and sellers of stock and exchange-traded mutual funds are losing billions of dollars in value, teeny bit by teeny bit," the Christian Science Monitor reported today, "as the computerized traders take advantage of the slightest spreads in buy-sell prices on an individual stock market or between markets." The system, then, already skewed towards Wall Street to begin with, is only perpetuating its culture of unfairness and avarice. And this greed isn’t limited to the financial sector. The economy remains sluggish, growing an anemic 1.6 percent in second quarter 2010, and the national unemployment rate is hovering at just under 10 percent. Still, American corporations continue to take special care of their top tranche of executives at the expense of everyone else. In Harold Meyerson’s words, "American employers—more than employers in other nations and more than American employers in earlier downturns—have imposed the costs of the recession and, increasingly, the costs of doing business, on their workers, and kept for themselves damn near all the proceeds from doing business." And they’ve been remarkably brazen about it. "In 2009," an executive report from the Institute for Policy Studies details, "the CEOs who slashed their payrolls the deepest took home 42 percent more compensation than the year’s chief executive pay average for S&P 500 companies." Humorously (or maddeningly), the IPS report features some charming, Gekko-like characters. Fred Hassan of Schering-Plough, for example, is the "Golden Parachuter." IPS reports, "By far the highest-paid layoff leader, [Hassan] last year pocketed nearly $50 million. Hassan received a $33 million getaway gift when his firm merged with Merck, while 16,000 workers were receiving pink slips. Hassan’s 2009 pay could have covered the average cost of these workers’ jobless benefits for more than 10 weeks." Amex CEO Kenneth Chenault is a "Bailout Baron" who earned $16.8 million in 2009, while laying off 4,000 employees and taking a $3.39 billion TARP bailout. Greed, indeed. Gordon Gekko, of course, manipulated markets illegally through insider trading and espionage (for which the character went to federal prison). Though the "new" Gekko is, according to The Economist, "more anti-hero than villain," the grayer, face-lifted version of the erstwhile raider can rest easy. His legacy is intact, and greed—though more subtle and nuanced, more likely to be conducted via BlackBerry than enormous cell phone—is still good.